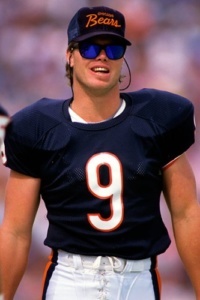 Back in the mid 1990’s I had a friend who lived next door to a car wash in the Chicago suburbs and one of their patrons was none other than Chicago Bears legend Jim McMahon. He was there about once a week, where he actually took the time to talk with other patrons and really interacted with the fans. Well if you missed seeing Jim at the car wash your in luck. The Las Vegas Strip at Caesars Palace inside the 180-seat theatre at Cleopatra’s Barge will host the event on Jan 25, 2018. The self proclaimed “Punky QB” is well known for his on-field heroics, as well as his off-field antics. Along with his 15-year career and two super bowl rings (one with the Bears and the other as a back up for Green Bay), Jim was a legend for mooning reporters, clashing with Mike Ditka and Pete Rozelle (then NFL commissioner). One story has Jim meeting his coach for the first time with a beer in his hand and a premium cigar in the other. Jim was a college football star as well playing for Brigham Young University, where he as a two-time All-American in 1980 and 1981 and was inducted into College Football Hall of Fame in 1998. McMahon retired in 1996 and has since been a big advocate for head injuries in the NFL along with being a restaurant owner and motivational speaker supporting the US troops and veterans. So shuffle on down and do it for you and see Jim McMahon up close and personal on Jan 25, 2018.